With the LPA effectively not developing due to various factors Chennai’s last chance for some decent rains after a two week break has ended. 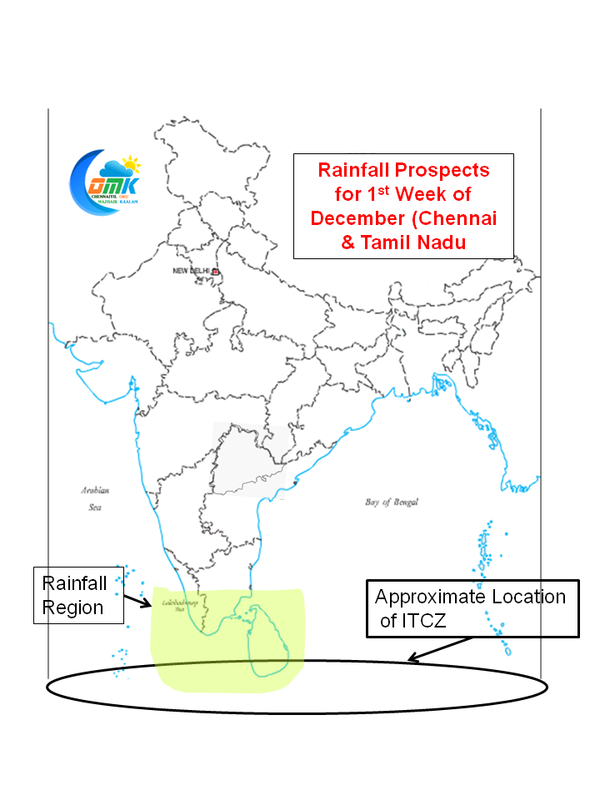 In all probability Chennai’s Rain Break could extend well into December at least till around 7th of December. A simple take on how the next few days would are expected to see. The ITCZ which is one of the most important factors providing rains to the tropics is possibly now around Sri Lankan latitude or even slightly South of it. Under normal circumstances the areas around the ITCZ line get the most rains when there are no synoptic factors like Low Pressure Area / Cyclones etc. With the ITCZ around 5N the rains will be limited to may be around 10N latitude thereby providing better rainfall prospects for the areas upto Delta Districts of Tamil Nadu. South Tamil Nadu will continue to get rains over the next few days as a factor of the remnants of the LPA which is off Sri Lankan coast. Rainfall prospects for North Tamil Nadu, especially interior districts would increase only when Bay sees any Disturbance develop in the South Bay. As things stand in the next week to 10 days the probability of disturbance in Bay seems limited. 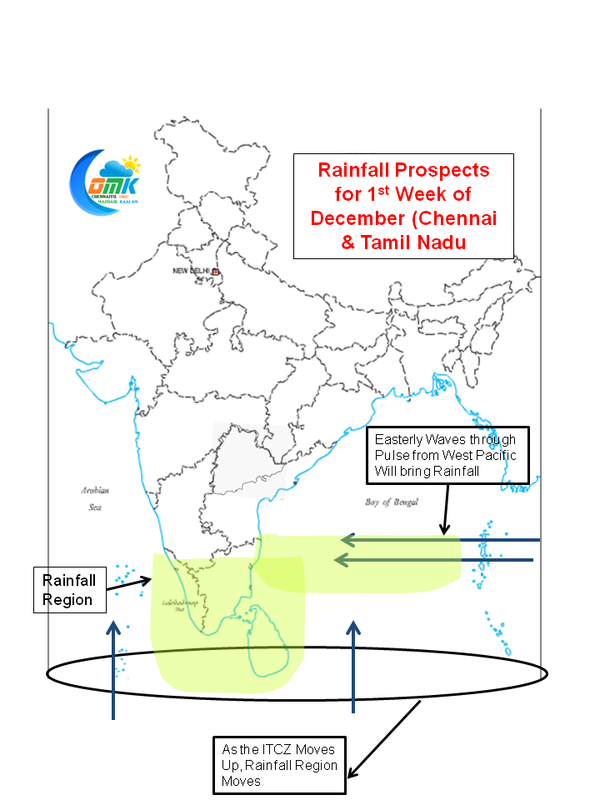 In all the bad news the one good news which could give us a cheer is possibly an Easterly Wave triggered by a pulse from West Pacific could provide some rains after 7th of December to North Tamil Nadu, its still a lot of ifs and buts so no point having too much expectation from it so soon though. So lets enjoy Chennai’s Mild Summer and possibly the Occasional Rains for the next few days as things stand.